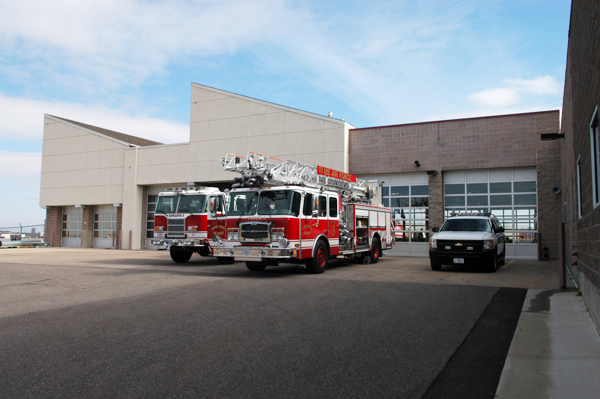 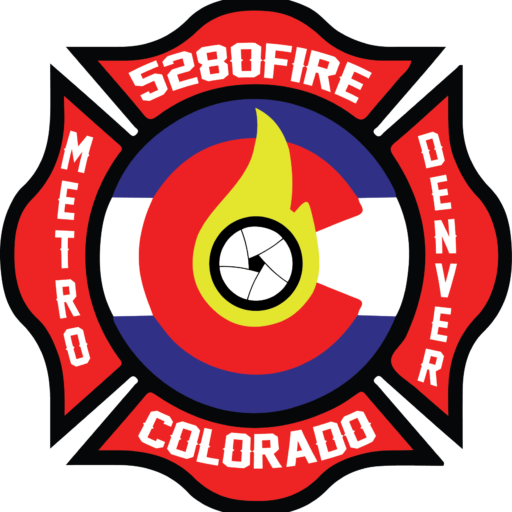 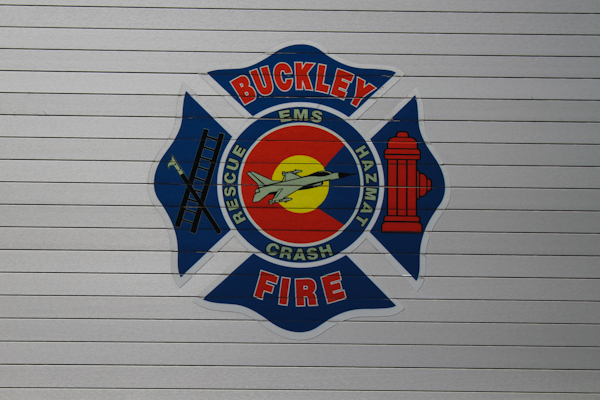 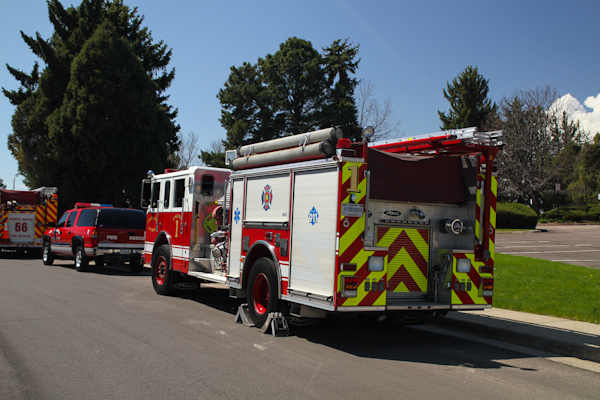 Fire Station is located at 380 S Aspen (Building 806 MS-54). 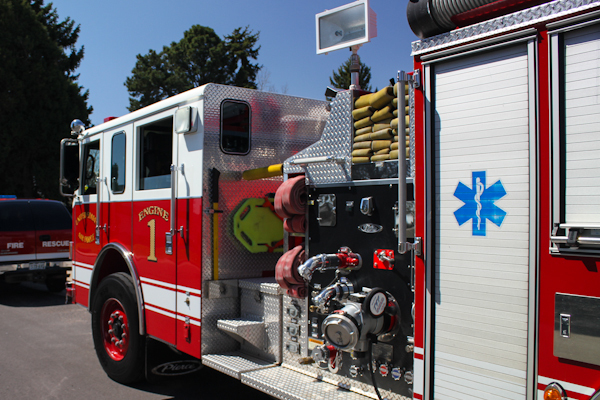 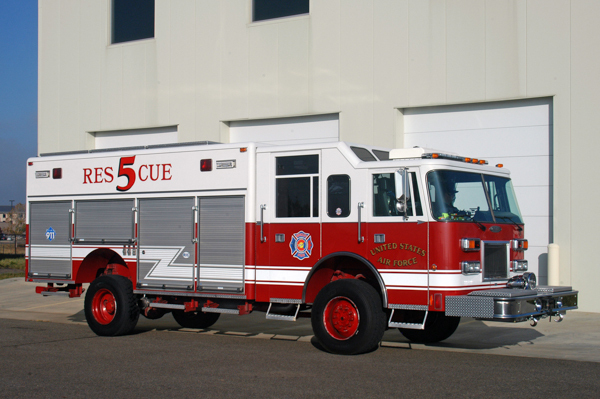 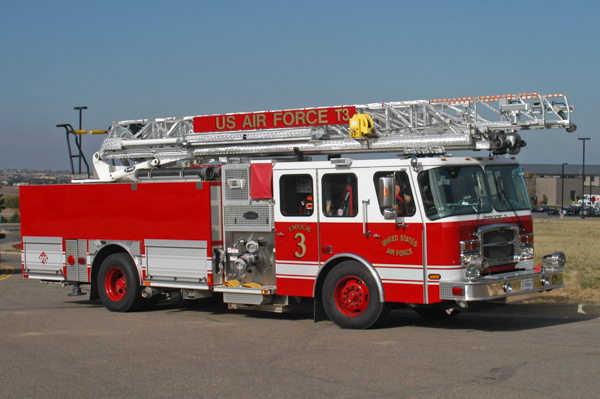 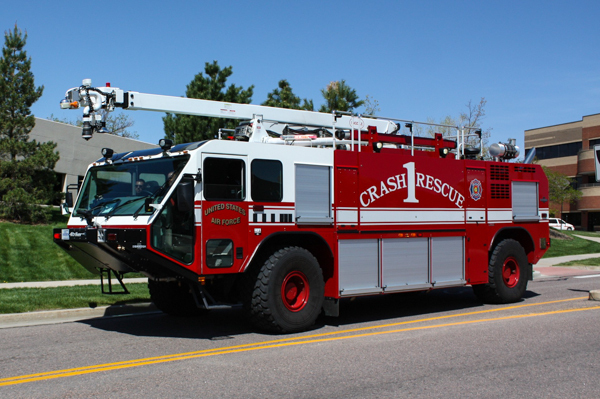 2011 E-One Typhoon 75′ (Quint) aerial ladder. 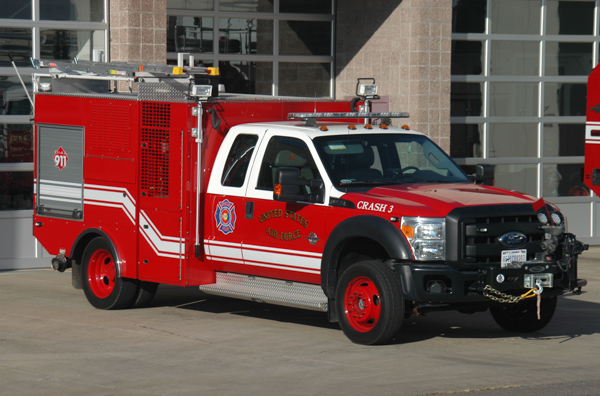 Ford F-550 4×4 XL Super Duty / Pierce 400 gallon water tank with foam. 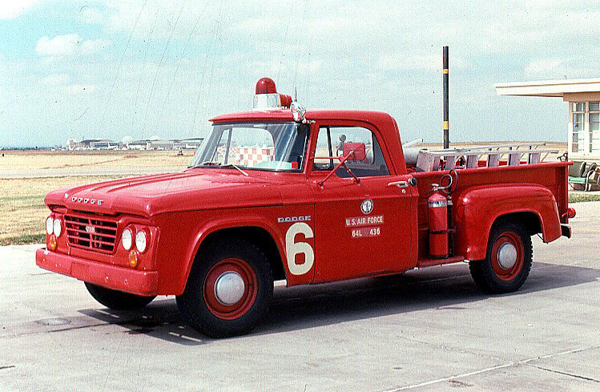 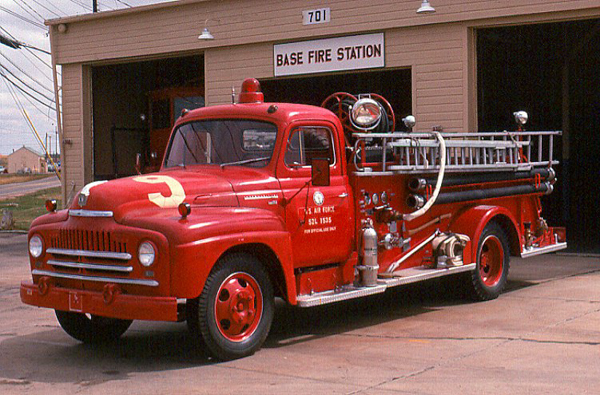 Unit 1 (54L2760) 1954 American LaFrance. 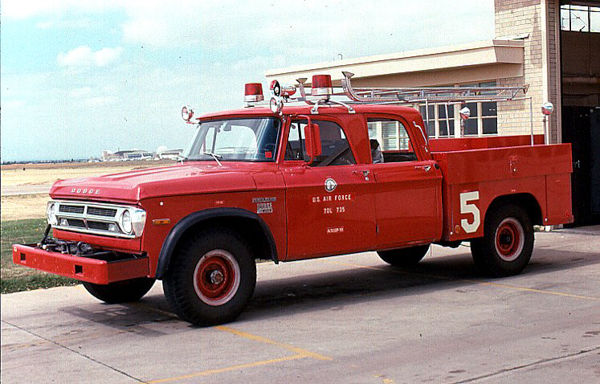 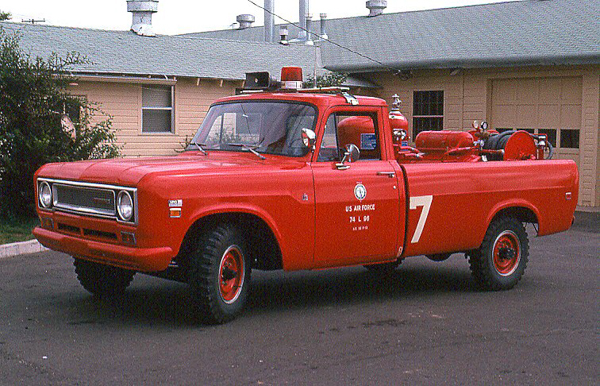 Unit 6 (64L436) 1964 Dodge. 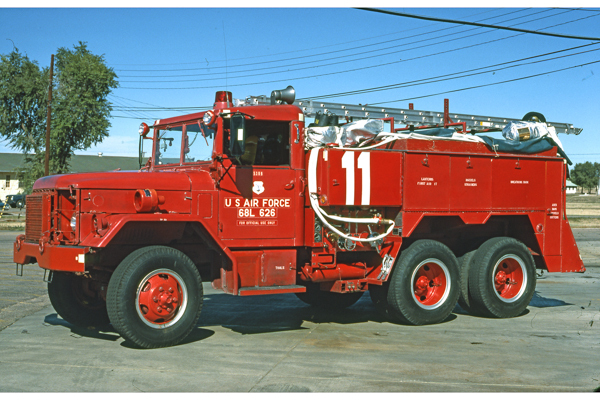 Unit 9 (52L1535) 1954 International / Darley 200 gallon water tank / 500 gpm pump. 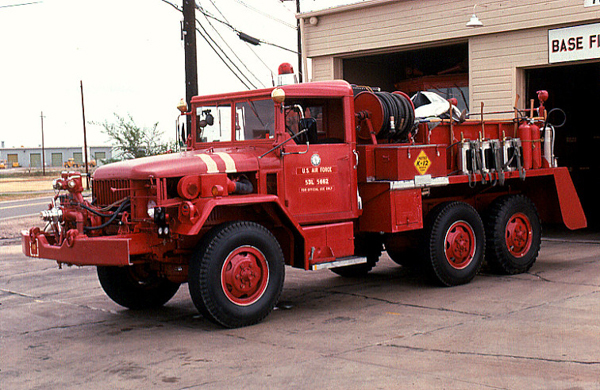 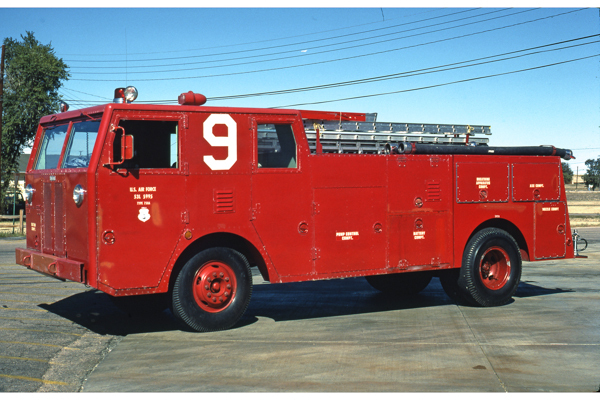 Unit 11 (53L5662) 1953 REO / Barton 6×6 400 gallon water tank / 500 gpm pump. 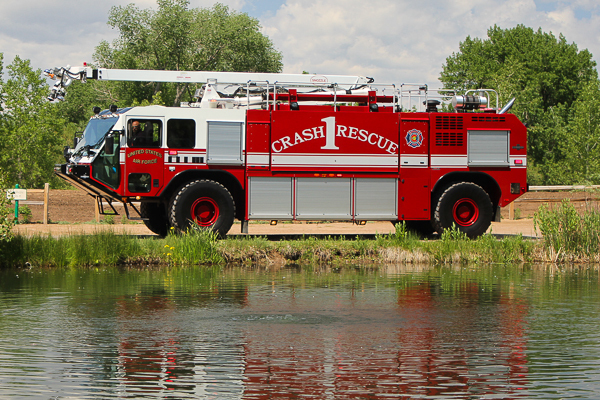 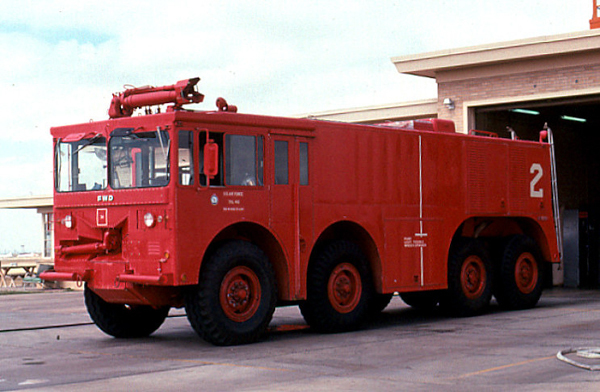 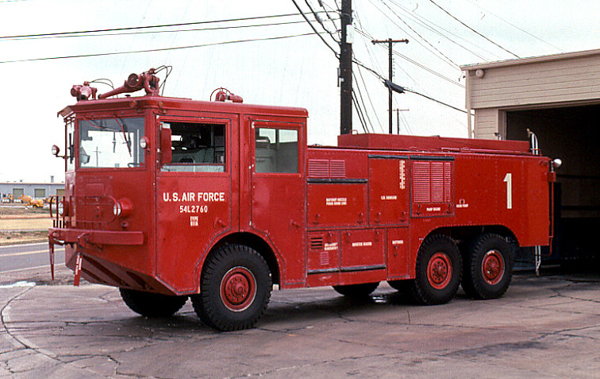 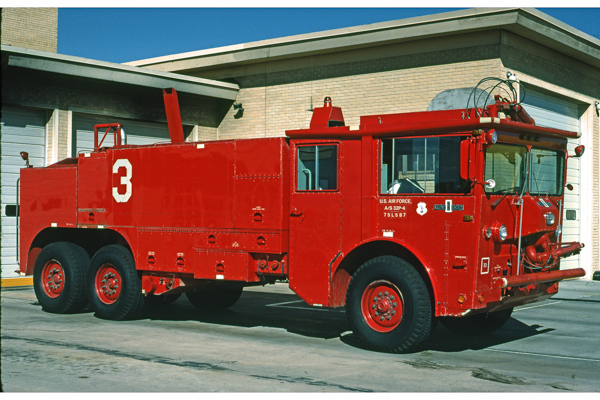 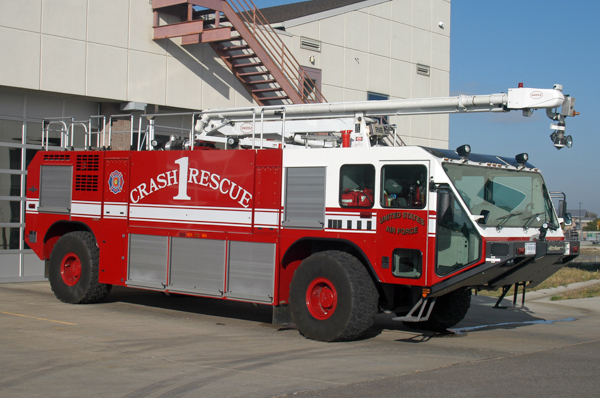 Crash 3 (75L587) 1975 Oshkosh 6×6 1500 gallon water tank / 1250 gpm pump. 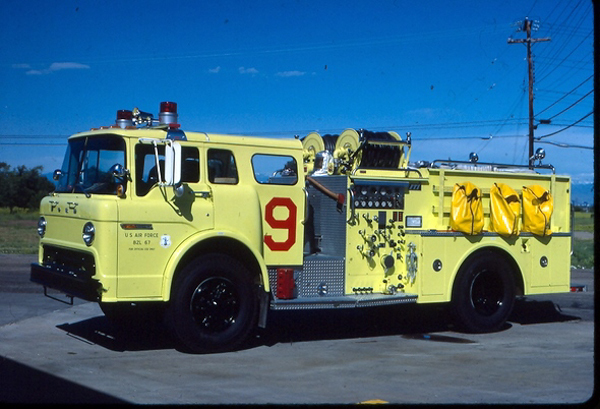 Engine 9 (53L5995) 1953 Ward LaFrance 300 gallon water tank / 750 gpm pump. 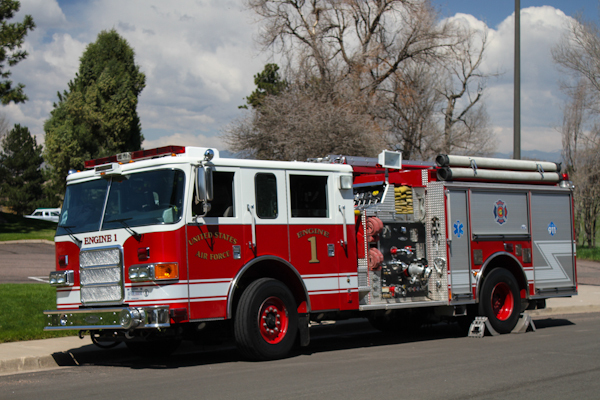 Engine 11 1968 Ward LaFrance 400 gallon water tank / 500 gpm pump. 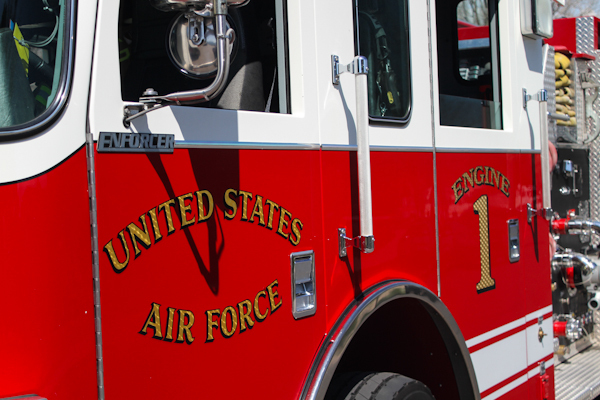 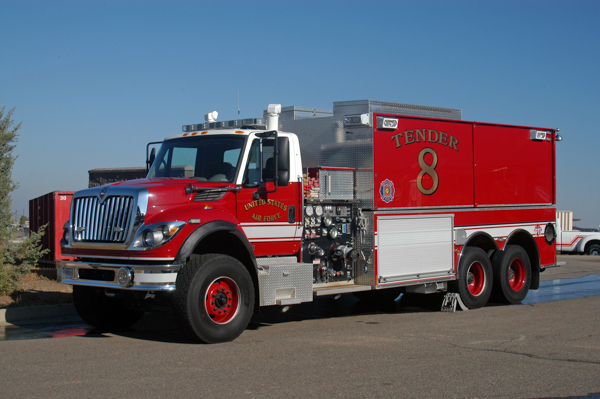 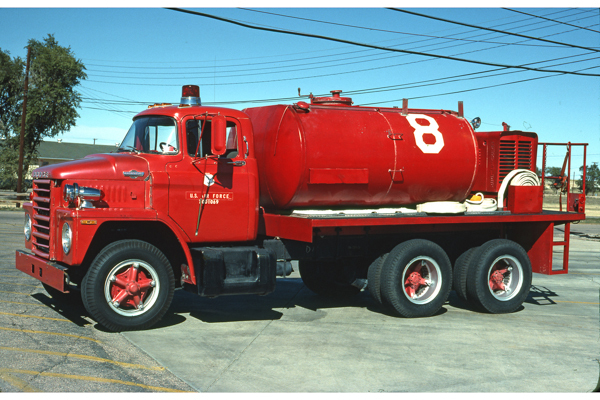 Tanker 8 (7001069) 1970 Dodge 800 1500 gallon water tank / 250 gpm pump. 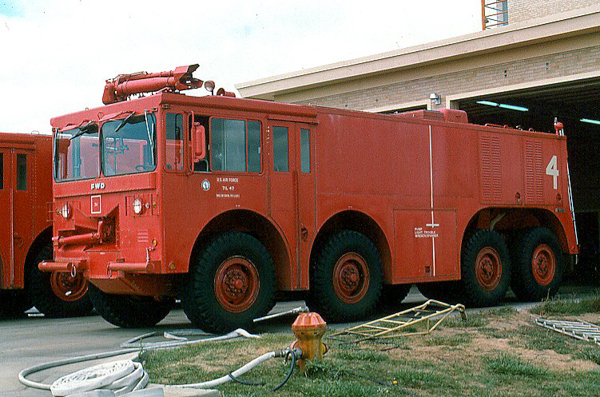 1982 Ford / FTI 750 gallon water tank / 400 gpm pump.